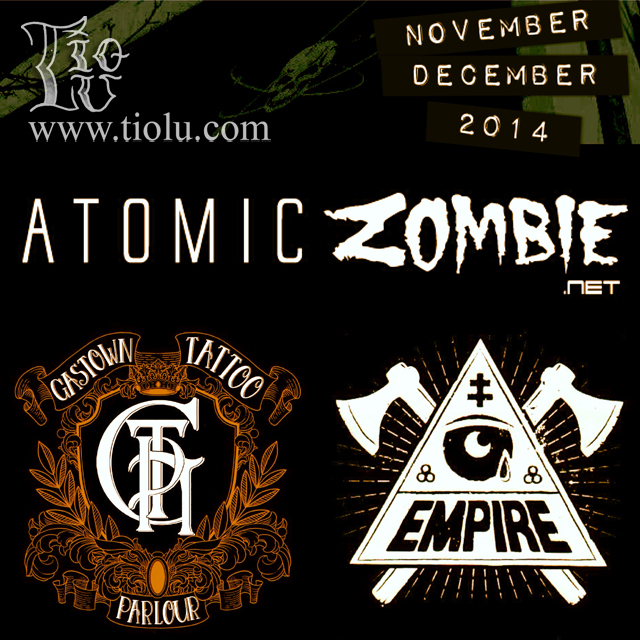 I’ll be working at these great places; Atomic Zombie, Edmonton Nov 4th to the 21st. Gastown Tattoo Parlour Vancouver Nov 30th to Dec the 9th and Empire Tattoo Victoria Dec 14th to the 17th. For appointments please contact me at tiolu.tattoo@gmail.com or the shop nearest you.